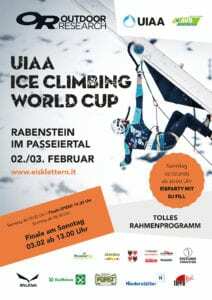 Bolzano/Corvara, 4 February 2016 – At the Eisturm Rabenstein there doesn’t seem to be a weekend without a top event taking place on the artificial ice climbing structure. 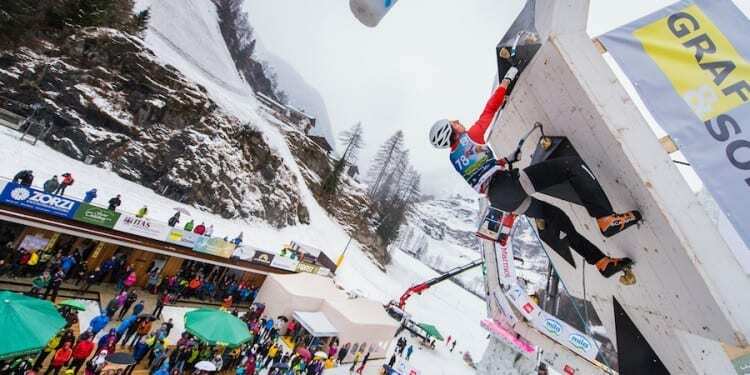 After the World Cup last Saturday and Sunday this weekend will see the fight for World Championship titles in difficulty climbing (Lead) and speed climbing (Speed) in the age groups U22, U19 and U16. 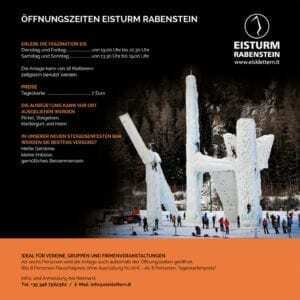 The world’s best ice climbers had barely departed on Monday when the Eisturm Rabenstein began with the preparations for the youth and junior World Championships. It is important for the young talents to benefit from the same top conditions during their battle for the World Championship crown. 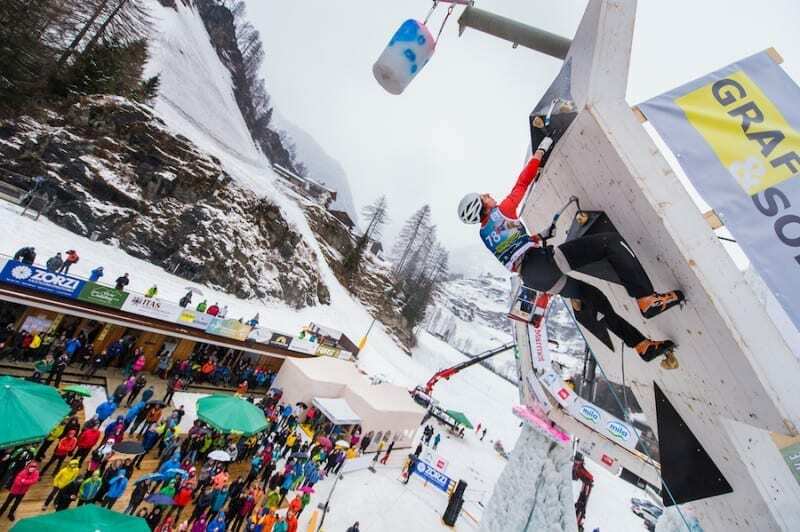 70 ice climbers from 13 different nations have registered for the title fights in South Tyrol. The participants include three young local ice climbers. The youngest, Christof Pfitscher, is just 15 years old. Like David Oberprantacher (born 1999) he comes from Val Passiria. Merano athlete Severin Marsoner is also keen to join the battle for precious metal. “We will do what we can do ensure that the young ice climbers are made to feel extremely welcome here in Corvara. The contest for medals is likely to be highly exciting”, believes Chair of the Organising Committee Reinhard Graf, who together with his team organises the event at the ice tower in Corvara. 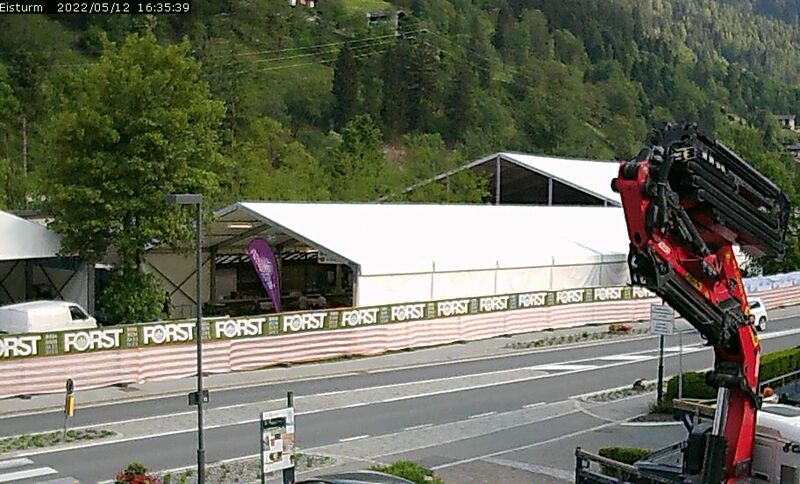 The qualification in difficulty climbing starts at 9 am on Satruday. From 5 pm the contestants fight for their place in the finals in speed climbing. The World Championship medals will be awarded on Sunday. The difficulty final starts at 9:30 am, the speed final at 1 pm. The awards ceremony takes place at 2:30 p.m.